Advisory Council on Historic Preservation (ACHP) Expert Member, Terry Guen, wrote an article about her recent volunteer efforts with the advisory council. The insightful article published in The Field, the American Society of Landscape Architects' Professional Practice Networks Blog, deals with the challenges and achievements of Chinese workers during the construction of the Transcontinental Railroad in the 1860s. The ACHP endorsed proposed legislation, included in the recently-enacted public lands bill, that would upgrade and expand the Golden Spike National Historic Site in conjunction with the 150th anniversary of the completion of the line in May of this year. 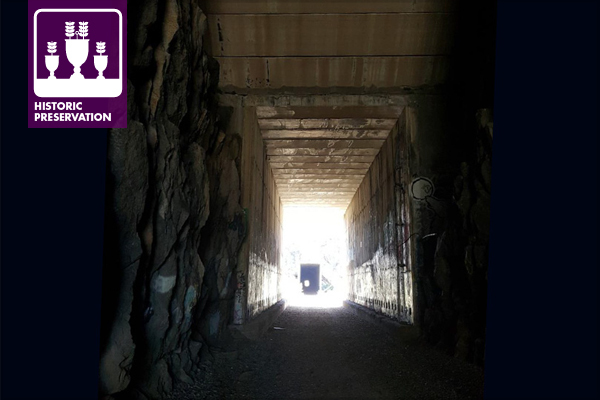 Click here to read the full article titled "Expanding America's Diverse History Inside the Sierra Summit Tunnels"